What government shutdown? With crucial federal agencies shuttered across the nation, the Trump administration is pushing ahead with oil and gas permits, and there's no sign it'll cancel major oil and gas lease auctions slated for February and March. Spanning six states and 2.3 million public acres, they're the largest quarterly sales of public-land leases in more than a decade. The Center for Biological Diversity and allies have told Trump to knock it off. 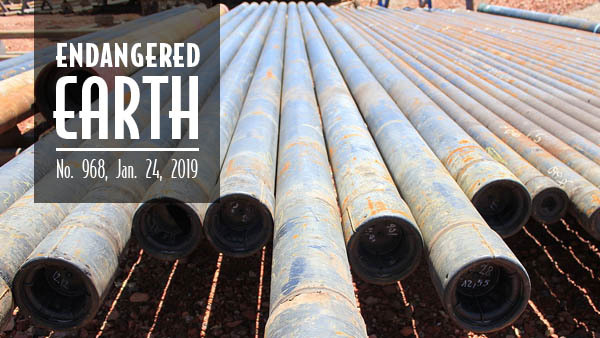 Issuing drilling permits and leases during the shutdown violates the National Environmental Policy Act and Federal Land Policy and Management Act, we wrote in a letter to acting Interior Secretary David Bernhardt. "The only thing trashier than our national parks during this shutdown is the Trump administration's coddling of the oil industry," said the Center's Taylor McKinnon. The Center has filed a notice of intent to sue Trump's Fish and Wildlife Service for failing to protect nine imperiled species under the Endangered Species Act, including gopher tortoises and Puerto Rico harlequin butterflies. Other species at risk: the San Francisco Bay-Delta longfin smelt, Berry Cave salamander, Hermes copper butterfly, Sierra Nevada red fox, red tree vole, magnificent ramshorn snail and a flowering shrub called marrón bacora. They've all been found in need of protection, but the Trump administration has done nothing to help them. "The Trump administration's appalling hostility to protecting wildlife is driving these species toward extinction," said the Center's Noah Greenwald. The Center and allies are petitioning Montana to ban trapping of Northern Rockies fishers along its border with Idaho. 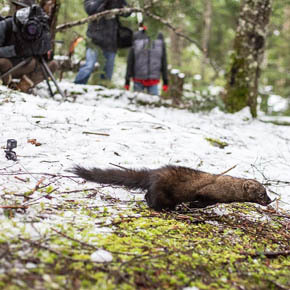 Trapping poses a grave danger to these secretive, furry creatures — but Montana still allows it. Idaho prohibits intentional fisher trapping, but from 2002 to 2016, 186 of the rare animals were reportedly killed in traps set for other species in these two states. "It's time for Montana to protect these imperiled carnivores instead of caving to the wishes of a few trappers," said the Center's Andrea Santarsiere. Read more. 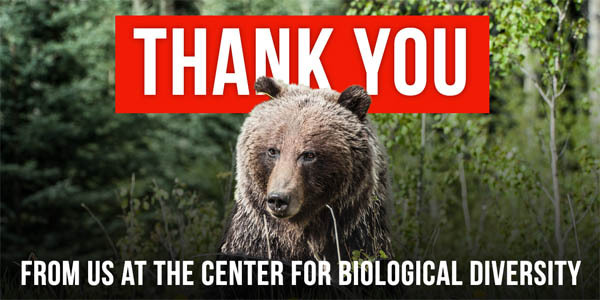 Thanks so much for supporting the Center for Biological Diversity in 2018. You power our fight for wildlife and wild places. Watch our thank-you video on Facebook or YouTube. The U.S. Interior Department has proposed changes to the rules on how it responds to public-records requests made under the Freedom of Information Act. This is a huge transparency issue — at the heart of the Center's work to expose injustice and ultimately protect wildlife and public lands. Interior's rule changes would add more bureaucracy to an already backlogged, delayed process. Some rules would force people to narrow their searches and limit total requests accepted monthly. Others would give Interior vast discretion to decide whether to reject or "slow-track" certain requests. And one rule would put crucial decision-making in the hands of a political appointee. Fed up? We are too. Act now to oppose Interior's rule changes. Maybe you've heard about Trump's border wall plowing through a Texas butterfly preserve. Did you know that preserve is also home to important bees? 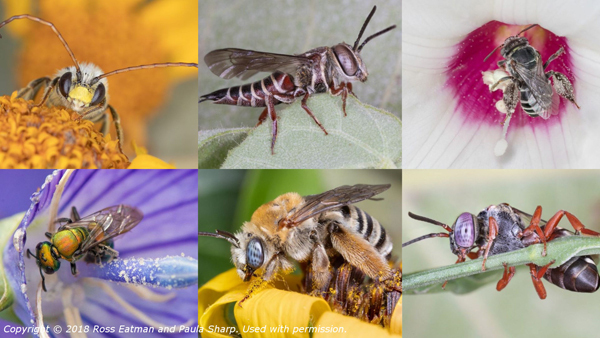 Working with biologists, photographers Paula Sharp and Ross Eatman just launched a website with incredible images documenting native bees at risk — many rarely seen within the United States, some new to science. "Our favorite so far is a chimney bee with a hairy orange face," said Sharp. Learn more in The Revelator and sign up for The Revelator's newsletter. Check out the latest addition to our national Endangered Species Mural Project. In Arcata, Calif., this 256-foot-long painting by Lucas Thornton depicts marbled murrelets in their habitat. These rare birds are commuters, traveling from their nests in mature redwood forests to the Pacific Ocean to hunt. 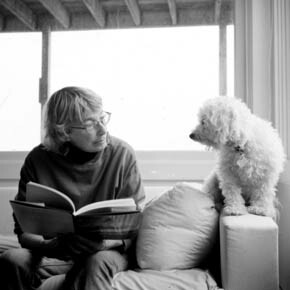 A passionate champion of the wild, Pulitzer Prize-winning poet Mary Oliver died last Thursday at 83. During the six decades of her career, Oliver wrote many poems about her encounters with nature. Her clear style, devotional approach to the everyday, and careful attention to the wild world made her a remarkable American poet. Oliver's words will continue to inspire us in our work to protect wildlife and wildlands. Following settlement of a lawsuit by the Center and partners, Kern County has just revoked its approval of a plan to bring trains filled with explosive Bakken crude oil to California's Central Valley. The project would have let Alon USA Energy reopen a closed Bakersfield refinery and unload the dangerous crude from more than 200 tanker cars per day. In 2013 the derailment and explosion of a train carrying Bakken crude through Lac-Mégantic, Quebec, devastated its downtown and killed 47 people. "Bomb trains barreling through Central Valley communities would have posed catastrophic risks," said the Center's Maya Golden-Krasner. "One derailment away from a potential explosion, the trains would also have worsened the region's already dangerously dirty air." 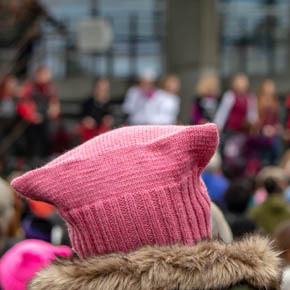 With Trump doing his darnedest to curtail women's reproductive rights and freedoms, the Center's population guru Stephanie Feldstein writes that it's crucial that we raise our voices and urge Congress to defend women's rights and healthcare this coming year — not just for women, but for our families and for the planet. Yes, these are real butterflies. The green dragontail (Lamproptera meges) is one of the smallest species of swallowtail butterfly and one of very few species with wing transparency. This footage was captured in Thailand by Kazuo Unno, insect aficionado and wildlife photographer. Check out the beauty of green dragontail butterflies on Facebook or YouTube. Photo credits: Oil pipes by Lindsey G/Wikimedia; gopher tortoise by Rebecca Leigh White, Outdoor Alabama/Flickr; fisher release by Kevin Bacher/NPS; grizzly bear by Gregory Rogers/Pexels; "Confidential" graphic by Democracy Chronicles/Flickr; bee collage © 2018 Ross Eatman and Paula Sharp (used with permission); marbled murrelet mural by Gabrielle Gopinath courtesy North Coast Journal; Mary Oliver by SSJE/Flickr; oil train near playground by Stand.Earth/Flickr; 2019 Women's March by David Geitgey Sierralupe/Flickr; video still of green dragontail butterflies by Kazuo Unno.